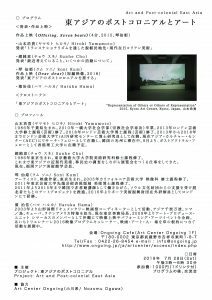 – “Art and Post-colonial East Asia” on July 28th at Art Center Ongoing (cafe 1F) in Tokyo Japan. Presentation, Screening, and Cross-talk event. 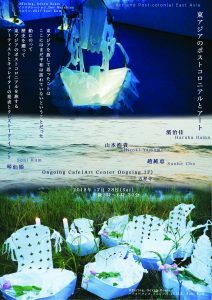 The gust artists and curator includes Hiroki Yamamoto, Cho Sunhe, Hama Haruka.